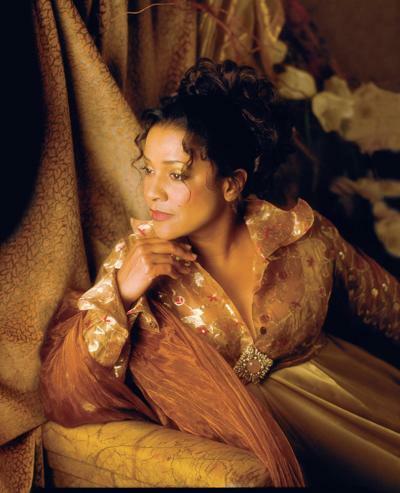 On Saturday, April 14, 2018 , Kathleen Battle returned to Seattle to present her solo concert “Underground Railroad – A Spiritual Journey” at the Meany Center for the Performing Arts. 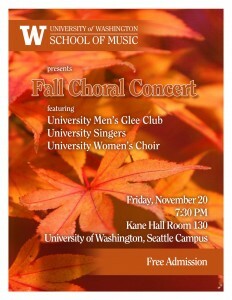 Ms. Battle was courted for years by the University of Washington before this concert was finally brought to fruition. She was accompanied in this performance by jazz pianist Joel A. Martin. 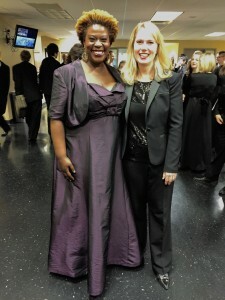 Traditionally, Ms. Battle presents this concert with predominately African-American choirs. This time, however, local gospel choir The Sound of the Northwest combined with the UW Chamber Singers under the direction of Dr. Geoffrey Boers to present a spiritual journey of music and spoken word. Kathleen Battle worked intimately with the choirs for three days to finesse the nuances of the performance. The choirs worked on unifying their sounds and spirits as Ms. Battle explained the depths of the texts and stylistic specifications for African-American spirituals. During the performance, Ms. Battle was able to connect with the audience using spoken text from Harriet Tubman and Frederick Douglass, and music that brought tears to the eye, lumps to the throat, and dedication to remember the past to make sure it’s never duplicated. Having Kathleen Battle on the UW campus was a once-in-a-lifetime opportunity for the students of the Chamber Singers; and experience that taught them not only about their voices, but also about themselves. This entry was posted in Chamber Singers, Collaboration, Concert, Event, Guest Artists, News, Photos, Updates on May 14, 2018 by Steve Danielson. 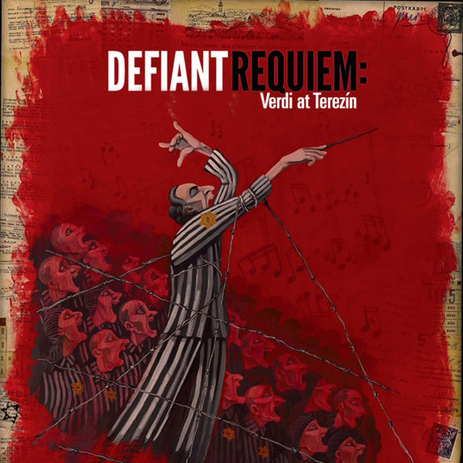 We hope to see you at our performances in the next two weeks! Click here for more information about tickets and locations. This entry was posted in Concert on May 22, 2017 by sriskind. 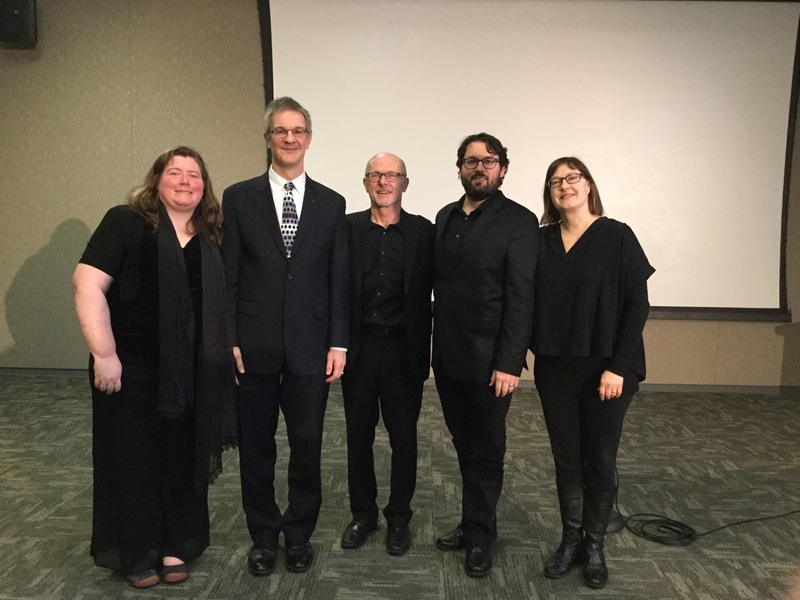 April was a busy month for the UW Chamber Singers and Opera Workshop, featuring two separate productions of Henry Purcell’s 17th-century opera Dido and Aeneas. 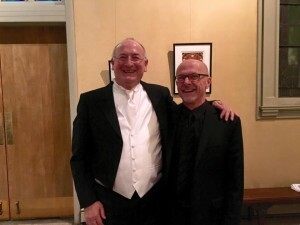 Faculty artist Stephen Stubbs led student singers and instrumentalists in a staged version in Meany Hall on April 13th, then brought in professional soloists and members of the Pacific MusicWorks period orchestra for concert performances in Benaroya Hall and Meany Hall on April 29th and 30th. While Geoffrey Boers and Stephen Stubbs coached both subsets of Chamber Singers in Baroque performance practice for the Dido choruses, U.K. choreographer Anna Mansbridge put a modern spin on the staged version with a wide range of movement styles. 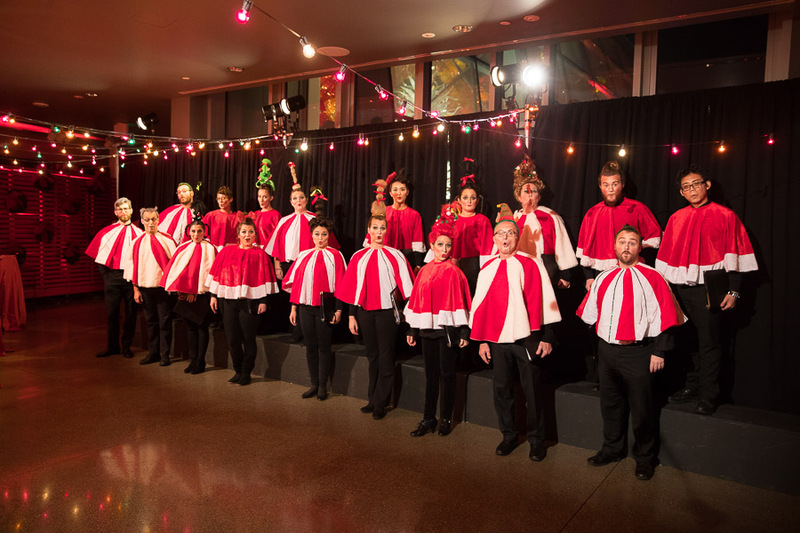 Chorus members created human sculptures of trees, writhed like villainous witches, performed elegant country dances, and caroused like sailors, often bringing out the humor in an otherwise tragic tale. Four professional dancers provided another means of storytelling and artistry. The other half of Chamber Singers sang the choruses in the April 29-30 concert performances with Laura Pudwell and Brendan Tuohy in the title roles. Instead of the Fairy Queen prologue that opened the staged production, they began with Purcell’s Welcome Song for the king. 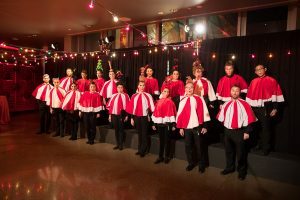 This collaboration between the UW Chamber Singers and Pacific MusicWorks was preceded by other rewarding early music projects, including Monteverdi’s Vespers of 1610 and Handel’s Messiah in the 2016-2017 season. 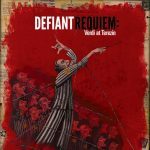 This entry was posted in Chamber Singers, Concert, Event, Opera on April 30, 2017 by sriskind. 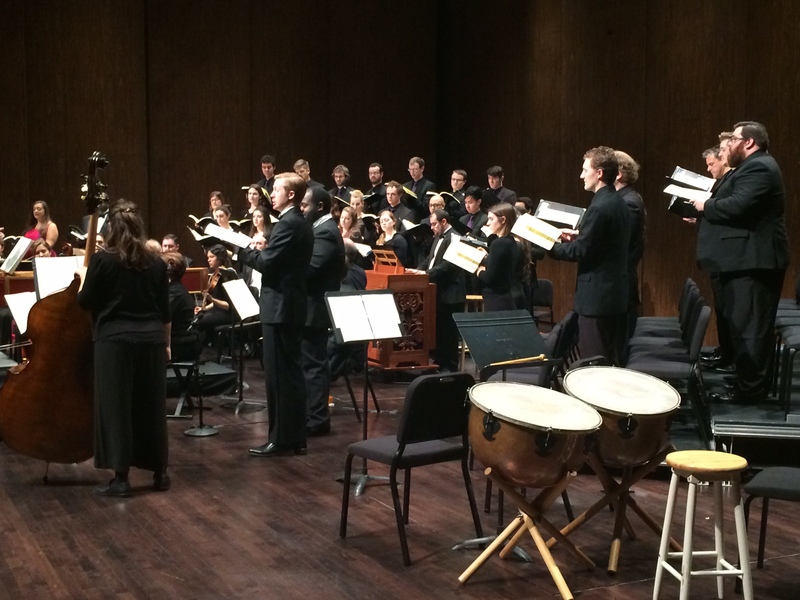 The University of Washington Chamber Singers kicked off their year with a dazzling performance of Monteverdi’s 1610 Vespers with Pacific MusicWorks October 24th, under the direction of Grammy-award winning conductor Stephen Stubbs. 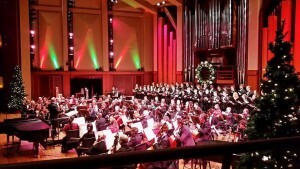 University of Washington Director of Choral Activities Geoffrey Boers prepared the chorus in a series of intensive rehearsals that began even before the school year started. 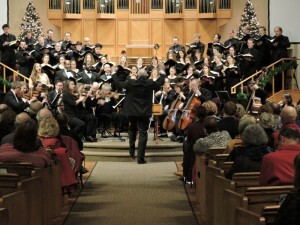 The performance took place at the historic St. James Cathedral in downtown Seattle. Stay tuned for information about our upcoming on campus choral concerts, including our fall concerts November 20th (University Singers, Women’s Chorus and Men’s Glee) and December 3rd (UW Chorale and Chamber Singers), and Carolfest December 9th, all at 7:30 pm. 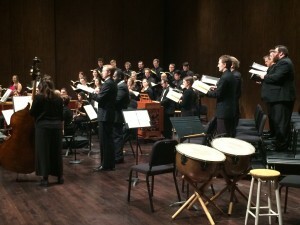 This entry was posted in Chamber Singers, Collaboration, Concert on October 26, 2015 by wyersg.